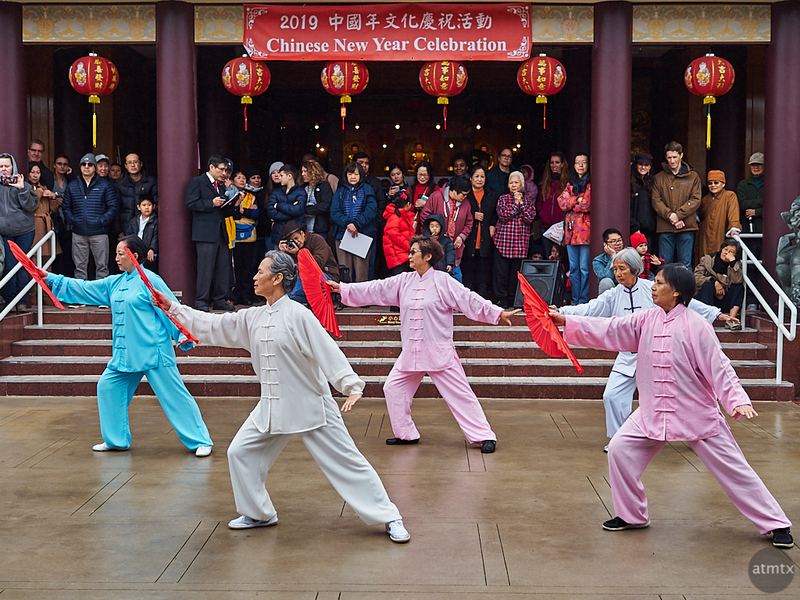 I mentioned yesterday that this year, I went to a different place to photograph the Chinese New Year. 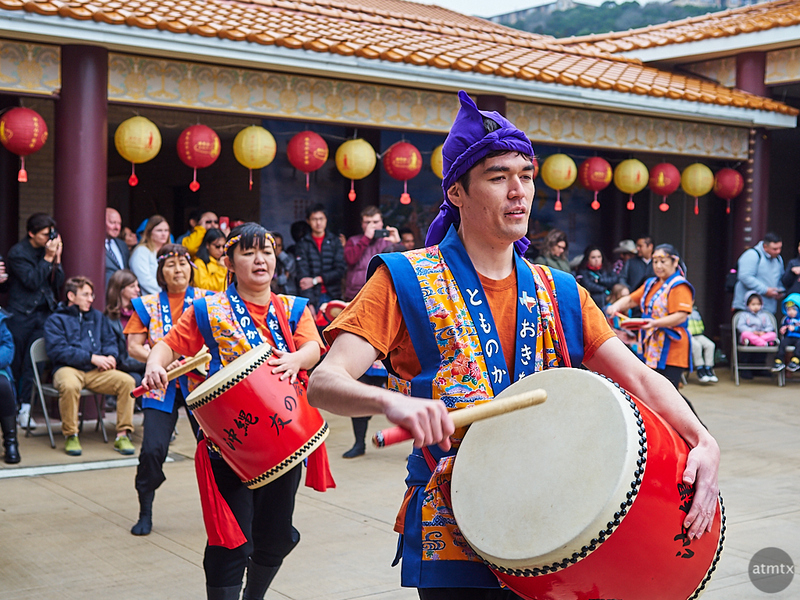 Instead of the Chinatown Center, an Asian strip mall in North Austin, I visited Fo Guang Shan Xiang Yun Temple off of Loop 360 in Northwest Austin. 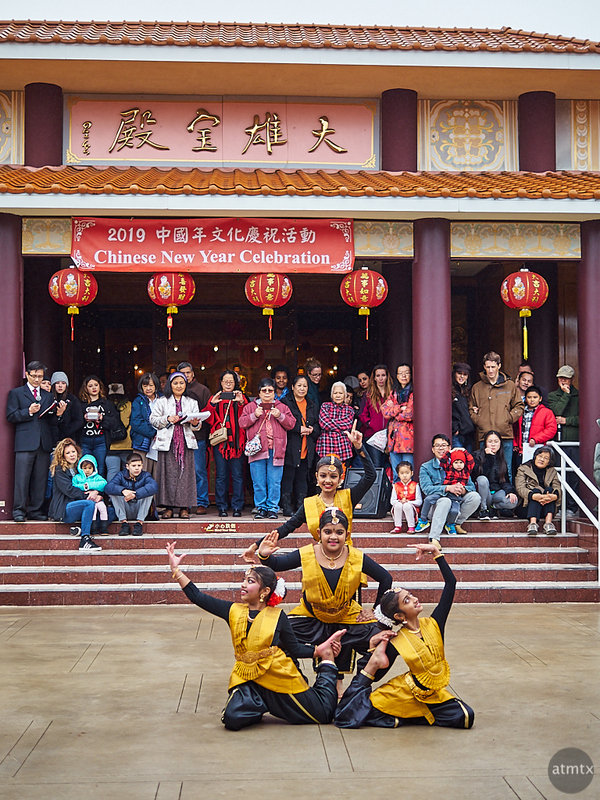 The Buddhist temple and the Chinese architecture added a more desirable backdrop to the events. Plus, it was a change of pace from my usual. 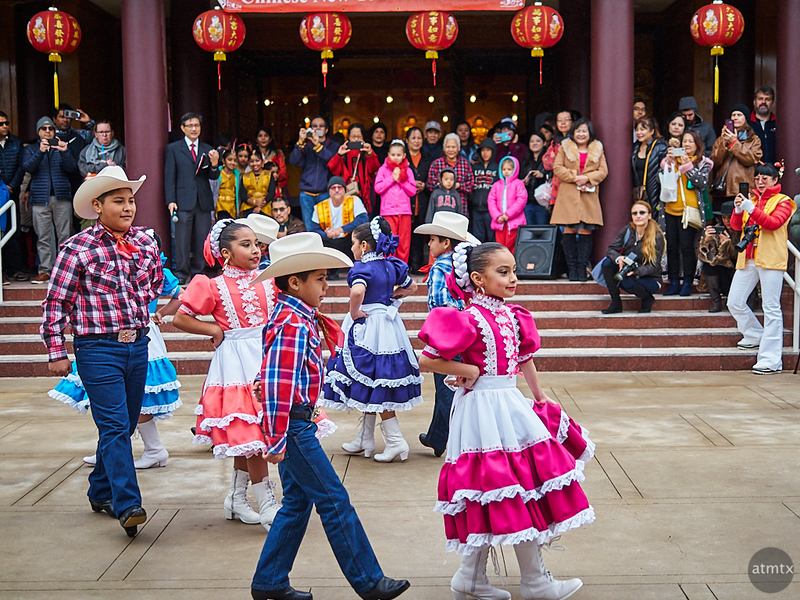 Chinese New Year in Austin is a multicultural affair, both at Chinatown Center and at the temple. 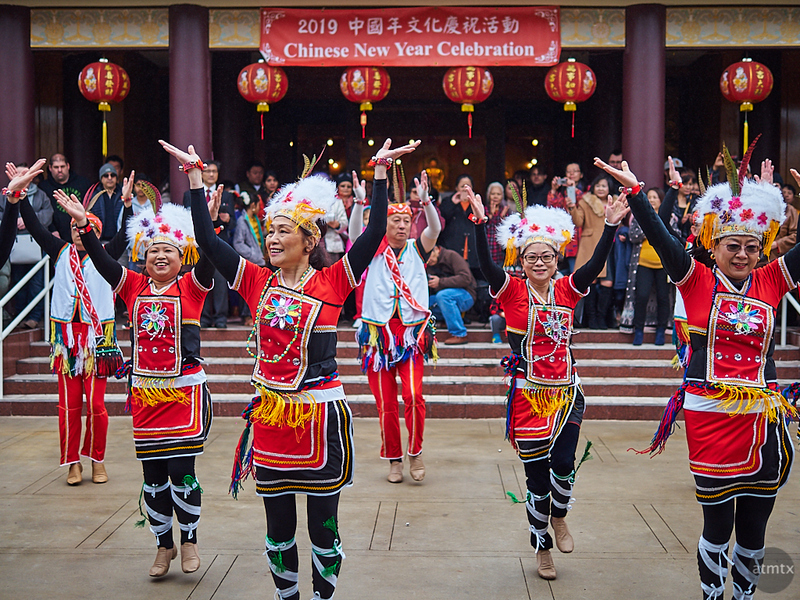 It’s a reason to bring many cultures together to appreciate their similarities and to celebrate their uniqueness. While the event at the mall usually focuses on Asia, the temple took it to the next inclusive level. 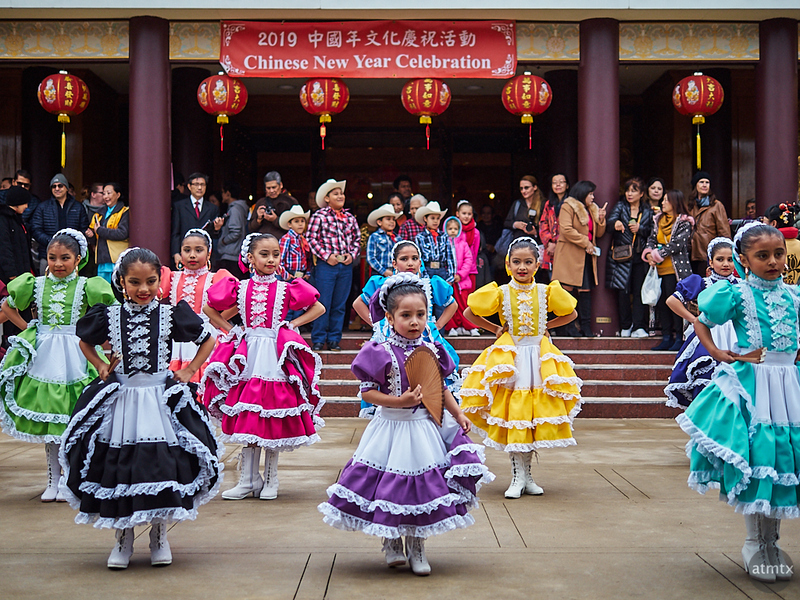 They had many Asian countries represented, but added dancing from Mexico, Persia, Europe and even folk dancing in Texas. As usual, I took a lot pictures and culling the thousand plus images to find a reasonable number, takes more effort than the photography. I suppose I should take less photos, but subtle and not so subtle variations can make all the difference. Thus I feel compelled to overshoot. Here’s a small subset, abbreviated to give a representative sample. While I documented every performance, I elected not to show every group on this photo essay. The event kicked off with Japanese Taiko drummers. These folks are actually the Okinawa variety, which is a semi-tropical island in the very southern part of Japan. 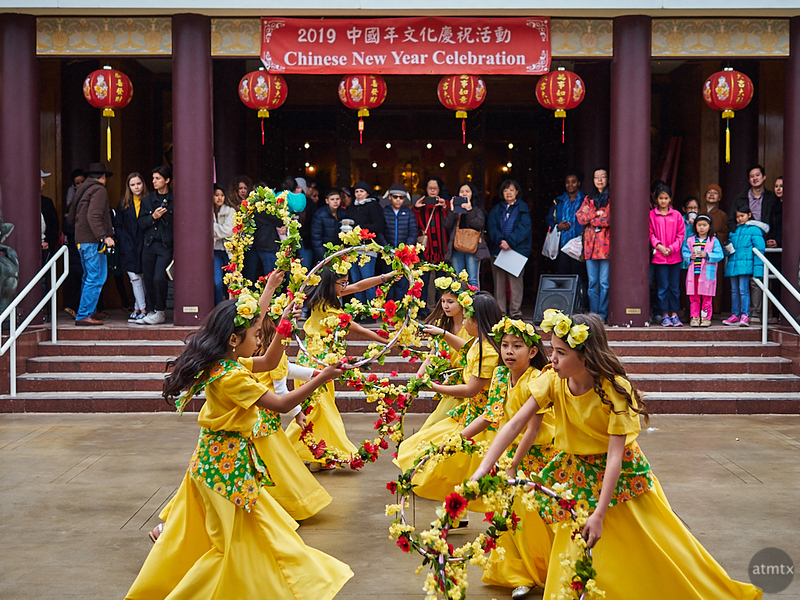 Most of the pictures are chronological, but I opted for the colorful Chinese dancers first, for its strong visual appeal and natural reference to the Chinese New Year. An absolutely adorable group of children represented our neighbors from the south. Of course Texas has strong ties to Mexico, currently and historically. I briefly considered posting black and whites but quickly rejected that since the colors are so wonderful. 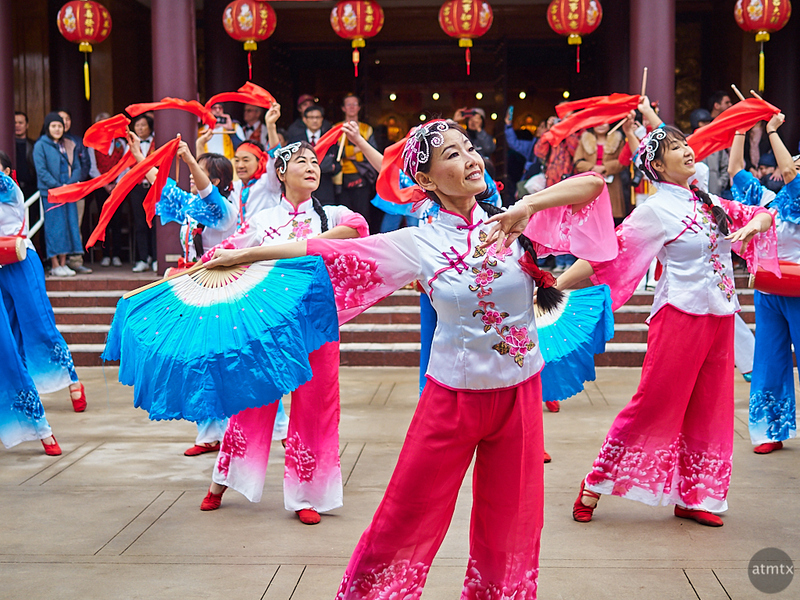 Most of these performances are dances and human culture throughout the world celebrate with music, movement and beautiful colors. The style may differ but we all share the same emotions and desire to celebrate. I thought this traditional group from Taiwan resembles some of the native Americans in dress style, which I found fascinating. These young girls representing India (and another two performing before this) were real troopers. The weather was cold for Austin, in the mid-forties with occasional drizzle. All of the Indian performers where barefoot. These girls are performing a Filipina dance. Not shown, just before, were adult Filipina with a very different style. 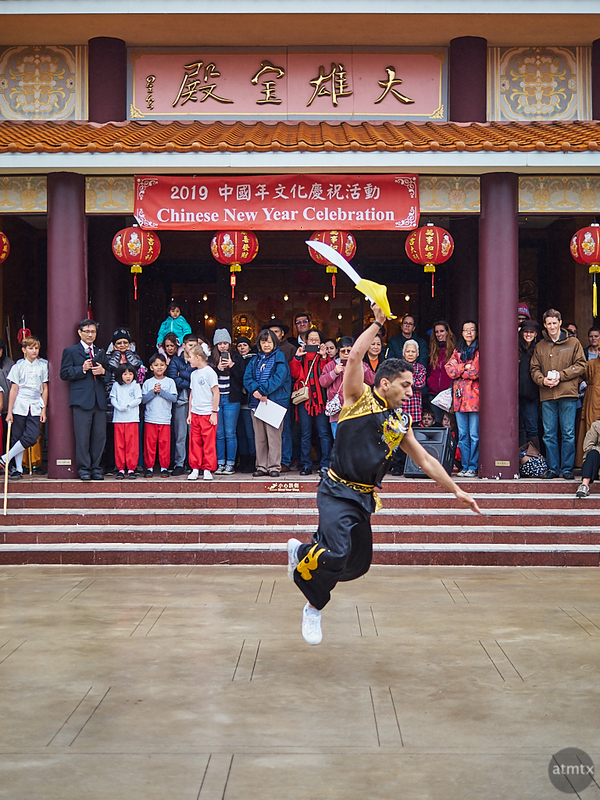 There was an extensive martial arts demonstration with fantastic moves and weapons. I managed to catch this midair leap, but I did miss focus more than I thought. I’m sure my technique can improve however, the newer cameras do have better and more able focusing systems than my Olympus PEN-F. That said, I just love the feel of the PEN-F and I shot all photos with that camera and a 50mm equivalent lens. I’m sure these folks are also Chinese dancers but I don’t remember the details. You can tell, however, their retrained style and dress is different from the group represented in first photo. Not featured were several other groups for this sprawling show. While interesting, it lasted longer than I anticipated. Some 2 1/2 hours to get to the finale everyone was waiting for. 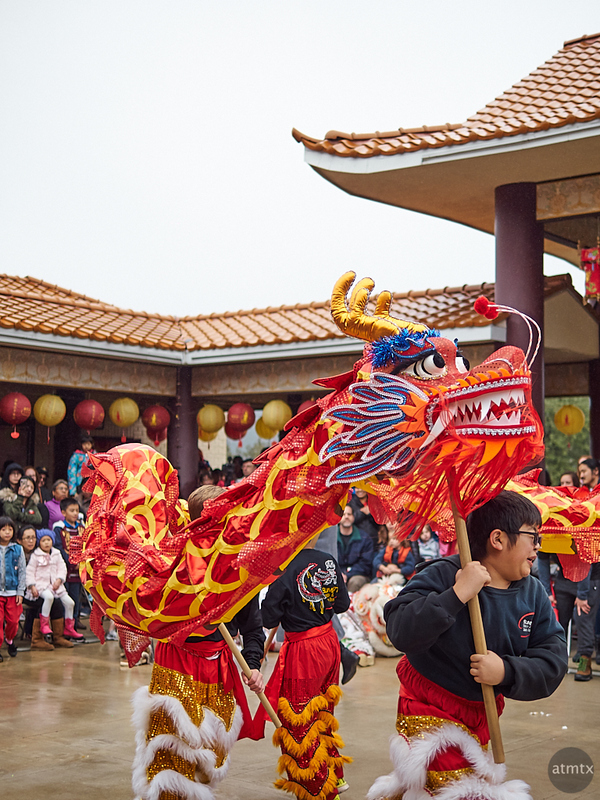 The lion and dragon dances, which are the traditional attractions in the Chinese New Year celebrations. While I made nice photos of most of the performances, that was relatively easy. I came early and got a prime spot in the center of the courtyard. 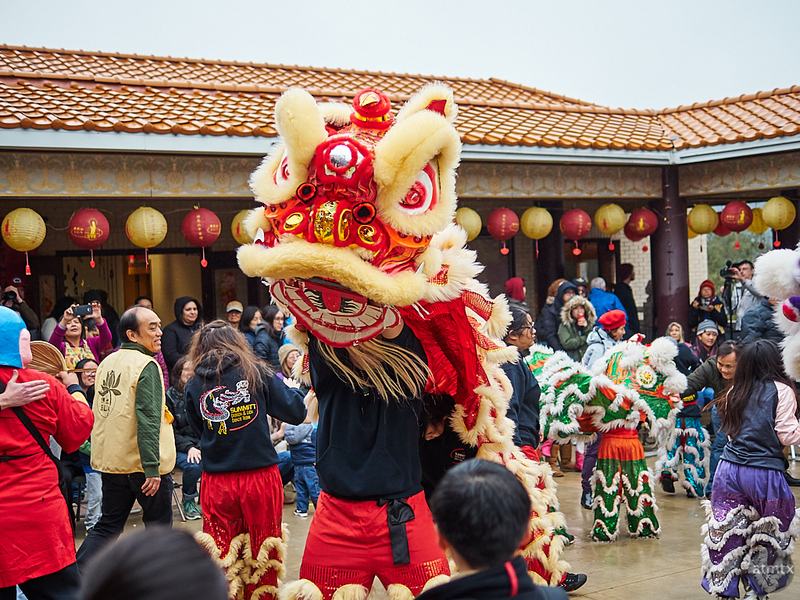 Once the lion and dragon dances started, things got a lot more freeform. I’m not totally happy with the photographs I made. Between the fast action and the clutter of people, I found it tough to make truly great images. These are fine, especially for documentary purposes, but I always strive to make a few really strong images. In a couple of days, I’m going to feature black and whites that have more of a street photography aesthetic. Those were probably my best during the lion and dragon dance finale. However, for today, you see the spectacle that I experienced at this year’s event, in vivid color no less. Nice, inclusive event. Maybe there’s hope for the world. Thank you and I hope so.